Hope you enjoyed loads and even more loads of scrummy chocolate Easter eggs, unless of course, you are diabetic like yours truly. 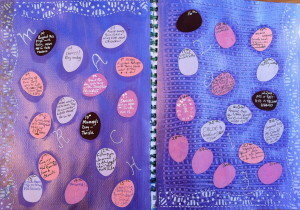 Hope you had a wonderful Easter and, I guess the phrase would be a “jubilant resurrection”. The last 6 weeks have been a little quiet on the art front – I’ve taken on three new carers and there’s been the usual settling in period. You’ll be pleased to know I’ve still been learning as much as I can about all types of mixed media art, and I can’t wait to get started on new techniques once my new carers are ready for some ART! 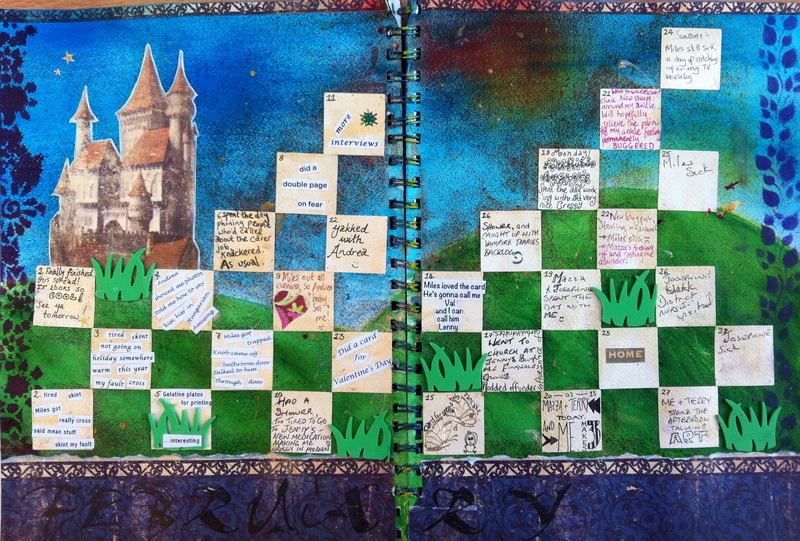 I’ve finished my calendar spreads for February and March, for the Art Journalling Calendar Challenge with Kate Crane. Two different carers helped me with these – Mary Ann for February and Theresa for March. The February one looks quite spring-like and full of green hope. 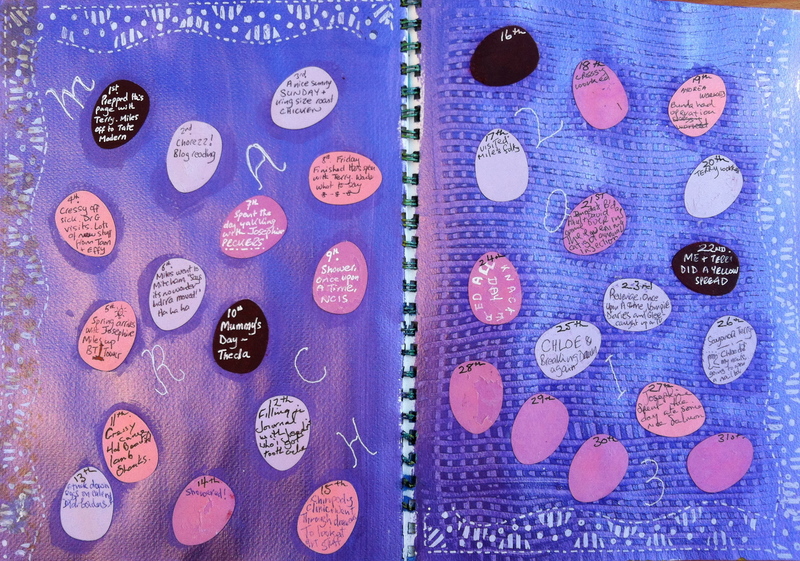 The March calendar spread is based on Easter (eggs) and themes of hope, new life and the Resurrection. Little did I know it would be the coldest winter for 50 years. I’m now just making a start on April’s calendar spread. Rather optimistically it’s got a Spring theme of green fields and yellow daffodils. In this never-ending winter of our discontent perhaps I should’ve done snow and ice. I’ll write again when I’ve got more work to show you. the Deepster's Dizziness uses the "Notepad Chaos v2" theme.